Evil comes in all shapes and sizes. It’s up to three kids, brought together by extraordinary circumstances, to save their school from a monster hiding in plain sight… before it finds them. When Theo loses his family in a gruesome murder, he sinks into a bottomless depression. After a failed suicide attempt, he meets Sally and Reuben – classmates of his who are also in dire straits. Sally is dying of a rare disease that steals her sleep, and Reuben is struggling to relate to the people around him while hiding the darkness of his home life. One day, the three discover that they’ve acquired powers that seem to fix their worst flaws. Where did these abilities come from? And how do they control their newfound powers without being exposed? While trying to make sense of these changes, the new friends come across a disturbing secret in their very own high school. A force of destruction that only Theo, Sally, and Reuben can stop. Boy or girl, young or old, you’ll get sucked into this trilogy. 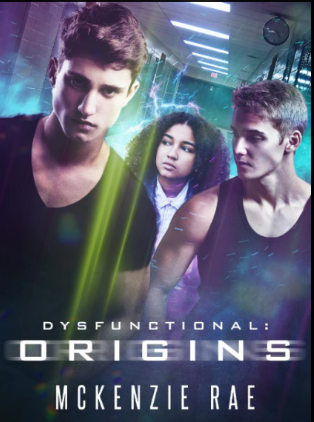 If you like stories about teenage superheroes and supernatural villains, then Dysfunctional is the series for you.